Serving New York, New Jersey and Connecticut. If you are out of work - take a withdrawal (PDF) Fill out this form and return it to Local 813. The cost of requesting a withdrawal card is only 50 cents. Take advantage of valuable products and services that are available exclusively to you as a Teamster Privilege Member. To unite blacks and other minorities, and other persons of good will for promoting cultural, civic, legislative, political, educational, fraternal, charitable, welfare, social and other activities which further the interests of minorities directly or indirectly. D.R.I.V.E. is the Teamsters Political action committee. For members wishing to obtain the forms required For the DOT medical exam and medical card click on this link. Click on Medical Examiner Report which the Doctor must fill out and The Medical Examiner Certificate which is the card you carry with you. Sanitation workers, environmentalists, safe streets activists, and small business owners joined forces to testify at a public hearing held by the Department of Sanitation (DSNY) today about problems in the private carting industry and needed reforms. As a reminder, the applications for the James R. Hoffa Memorial Scholarship Fund are due March 31, 2019. The application system is completely on-line and can be reached through the Fund's website: www.jrhmsf.org. Advocates say Intro 157 will help "overburdened" communities, but critics say this bill will raise costs and kill jobs. Thank you to all of the Teamster locals who joined us at City Hall to call for passage of the waste equity bill. The legislation was fiercely opposed by the private carters and was thought dead just a few months ago, but we fought to bring it back and it passed yesterday by a vote of 32-13 in the City Council. City Council Speaker Corey Johnson and bill sponsor Antonio Reynoso both thanked the Teamsters for our support and acknowledged our important role in getting it across the finish line. The win sets the stage for implementing our broader reforms in the industry to raise wages and require strict safety policies. You can view pictures from the press conference on our Facebook page. Our telephone, fax and email addresses remain the same. Thank you for your patience and cooperation during this transition period. 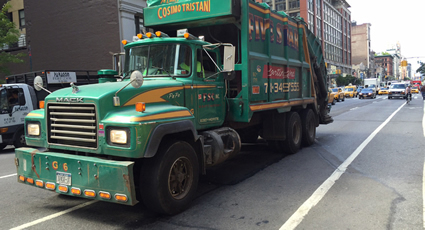 For the past month, Joint Council 16 has been calling on the City to revoke the license of one of New York's worst nonunion private carters, Sanitation Salvage. The company covered up the death of an immigrant worker, Mouctar Diallo, saying he was a homeless person who died trying to jump onto their truck. Please attend if you can and please wear your Teamster gear. 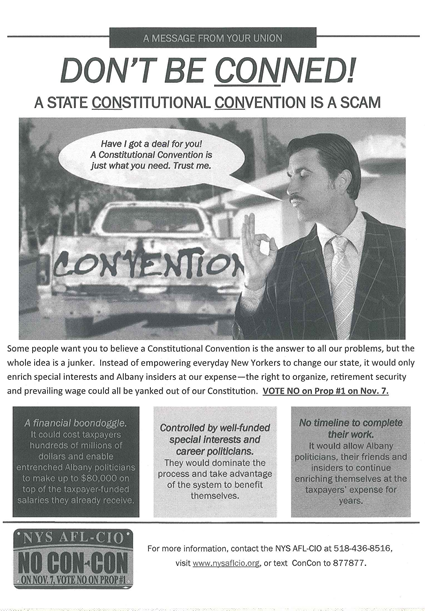 A flier prepared by the event organizers is attached. Kiera Feldman of Voice of America sits down with Errol Louis to discuss her investigation on the city's private sanitation industry. Fatal accidents, off-the-books workers, a union once run by a mobster. The rogue world of one of New York's major trash haulers. Press conference with Teamsters and City Council Members outside city's Business Integrity Commission seeking to strip license of Sanitation Salvage, one of the largest trash haulers after the cover up of deaths of two. Most recently 21 year old Guania immigrant. Garbage truck driver Sean Spence fatally ran down two people in the Bronx - and drove himself further into trouble by lying about one of his victims. We have been notified by the United Auto Workers that its research and teaching assistant members are on strike at Columbia University. 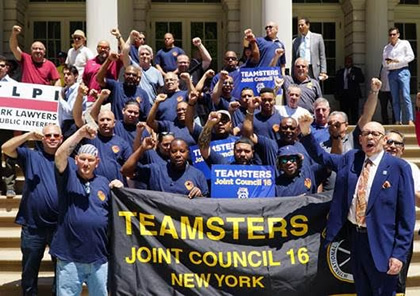 As one of New York's most powerful unions, Teamsters have a duty to support our brothers and sisters in the labor movement fighting for justice at work. Greater New York's 27 Teamsters locals, representing 120,000 members, stand in solidarity with academic workers at Columbia. I am requesting that all local unions give whatever help and support they can to bring this dispute to a successful conclusion. The picket lines will be operational from 8 AM to 4 PM, April 24-27 and on April 30th. Please contact Ken Lang from the UAW with any questions at 206-390-4265. We will keep you apprised of progress in this labor dispute. Workers memorialize King's advocacy for striking sanitation workers at the time of his death. 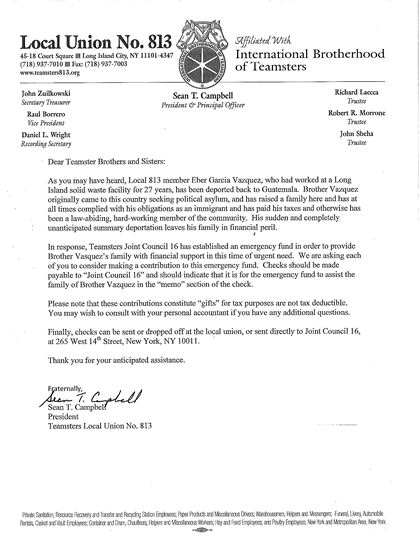 Teamsters Local Union No. 813 IBT is asking all of its members for a moment of silence on April 4, 2018 in memory of Dr. Martin Luther King's assassination fifty years ago. Dr. King was assassinated while attending a rally for striking sanitation workers. About 120,000 Teamsters across Long Island and New York City are preparing to become a "sanctuary union" and learn how to deal with immigration officials at their workplaces, The New York Daily News reports. La idea surgió después de que una persona que formaba parte del grupo fue deportada a Guatemala en 2017, lo que causó preocupación entre empleados indocumentados. La capacitación también incluiría cómo deben actuar si son detenidos por agentes del Servicio de Inmigración y Control de Aduanas en residencias o mientras conducen. Worried about federal immigration policies, a New York labor organization is taking steps to protect its own. 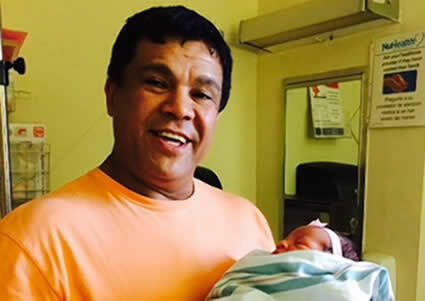 On a Saturday morning in 2013 in Brooklyn's Dumbo neighborhood, an 18-year-old recycling worker, Luis Camarillo, was loading materials into a truck when the vehicle's compactor crushed him. He was rushed to a hospital, where he died. The Social Security check is now (or soon will be) referred to as a "Federal Benefit Payment?" I'll be part of the one percent to forward this. I am forwarding it because it touches a nerve in me, and I hope it will in you. Please keep passing it on until everyone in our country has read it. The government is now referring to our Social Security checks as a "Federal Benefit Payment." This isn't a benefit. It is our money paid out of our earned income! Not only did we all contribute to Social Security but our employers did too. It totaled 15% of our income before taxes. If you averaged $30K per year over your working life, that's close to $180,000 invested in Social Security. If you calculate the future value of your monthly investment in social security ($375/month, including both you and your employers contributions) at a meager 1% interest rate compounded monthly, after 40 years of working you'd have more than $1.3+ million dollars saved! This is your personal investment. Upon retirement, if you took out only 3% per year, you'd receive $39,318 per year, or $3,277 per month. That's almost three times more than today's average Social Security benefit of $1,230 per month, according to the Social Security Administration. (Google it – it's a fact). And your retirement fund would last more than 33 years (until you're 98 if you retire at age 65)! I can only imagine how much better most average-income people could live in retirement if our government had just invested our money in low-risk interest-earning accounts. Instead, the folks in Washington pulled off a bigger "Ponzi scheme" than Bernie Madoff ever did. They took our money and used it elsewhere. They forgot (oh yes, they knew) that it was OUR money they were taking. They didn't have a referendum to ask us if we wanted to lend the money to them. And they didn't pay interest on the debt they assumed. And recently they've told us that the money won't support us for very much longer. But is it our fault they misused our investments? And now, to add insult to injury, they're calling it a "benefit", as if we never worked to earn every penny of it. Just because they borrowed the money doesn't mean that our investments were a charity! Let's take a stand. We have earned our right to Social Security and Medicare. Demand that our legislators bring some sense into our government. Find a way to keep Social Security and Medicare going for the sake of that 92% of our population who need it. Then call it what it is: Our Earned Retirement Income. Teamsters Local 808 has notified us that one of its members, Kevin Stewart at StuyTown, lost his sister, brother-in-law, and three nieces in last week's apartment fire in the Bronx. It's a tragedy for one of our own. Brother Stewart is planning funeral arrangements and needs financial support. Please contribute by donating at this GoFundMe page: https://www.gofundme.com/nvdhf-helping-the-stewart-family. If you would like to contribute by another means, please contact Chris Silvera at Local 808. The following Letter to the Editor is a response to an October 2 op-ed by Michael Hellstrom of Local Laborers 108, "Consolidating New York City's Private Waste Industry is Bad for Workers and the Environment"
The Teamsters Union is mourning the death of Alvin Turner, who participated in the 1968 Memphis sanitation workers' strike and who has stood with the Teamsters over the years to help raise standards for workers in the waste industry. 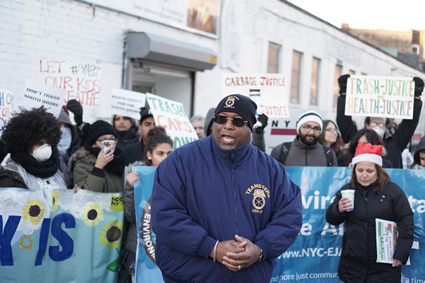 The head of a coalition of private carters said recent criticism of his members is souring progress in reaching an equitable plan to establish commercial waste zones in New York City and has threatened to walk away from the talks. Labor and environmental groups won a significant victory last year when the city announced it would establish the zones, also called franchises. Under the current system, private carters pick up almost all of the commercial waste in New York City, often competing for business, block-by-block. The zone system would award a contract to one company for one section of the city, something city officials say would reduce truck emissions and improve worker safety. Carters oppose the franchise system, arguing the commercial zones will kill competition and put smaller companies out of business. In establishing the new system, the city has tried to bring the carters to the table through a commercial zone advisory group. 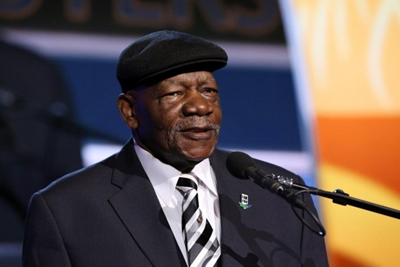 Last week, the carters' opponents launched a website that catalogs various safety and worker violations for six private carting companies. Kendall Christiansen, who leads a coalition of private carters called New Yorkers for Responsible Waste Management, said the website was counterproductive and threatened to suspend his involvement in the advisory group. "I will not be attending [Wednesday's] meeting, and am temporarily suspending my involvement with this process," Christiansen told advisory group members in an email sent this week and obtained by POLITICO New York. "I am dismayed that certain participants in this process are participating in continuing attacks on individuals and companies licensed to provide essential waste management-related services, and am of the opinion that such attacks should cease immediately in order for this process to move forward constructively." Asked about the email, Christiansen said he did not plan to withdraw from the process altogether, but was only addressing a sub-group to register his disappointment. "While I cannot speak for others, I can only hope that others are equally dismayed and will register their concerns appropriately," he said in the email. City officials declined to comment. The advisory group is still in its early stages, but the internal struggle already underway indicates how difficult it will be to hash out a plan that pleases the disparate sides. "For us, the implementation of the waste zones is going well and we're very glad to be working with the [group] to transform the industry," said Maritza Silva-Farrell, executive director of Alliance for a Greater New York (ALIGN), one of the groups responsible for the site. "If carters want to be a part of the solution, the first step is to acknowledge the big problems the industry has." The private carters and their opponents - which include ALIGN, the Teamsters and a host of environmental groups - remain locked in a bitter feud and continue to battle for public and political support. The website, "Trash Kingpins of New York City" details some of the ills of the carting industry, including racially charged social media posts from one of the company's owners. It was launched in response to a recent push by the carters to humanize its members, and cultivate an image of small, family-run businesses that stand to go belly up if a franchising system is put in place. At a time when unions are under assault by everything from pension-busting employers to the right-to-work steamroller, they also have to fight off an enemy within — unaffiliated, employer-friendly rivals called "sham unions" by traditional labor organizations. 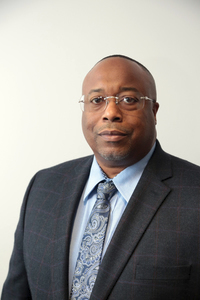 Sean T. Campbell, President and Principal Officer of Teamsters Local 813, which represents private sanitation workers as well as workers in the funeral, demolition, rental car, paper and corrugated, and factory and warehouse industries, has consistently worked on measures designed to improve the wages and conditions of his members. Campbell has been a Teamster for almost 30 years, and President for about five years, holding every officer's position in the union. Two weeks ago, our long-time union brother Eber Garcia Vasquez was deported. The Teamsters are continuing to work with his attorney and advocates to expedite his Green Card application so he can return to the U.S. and be reunited with his family. But the deportation has left his family without a breadwinner. Eber had a good union job, which allowed him to provide for his wife, who was recently in a car crash, his daughter who is attending college, and the rest of his family. To support this family, Northern Manhattan Coalition for Immigrant Rights, in partnership with the Teamsters, set up a Crowdrise fundraising page. All donations will go to Eber's family. Please donate if you can (every little bit helps!) and please share the link with your friends and on social media. Thank you for standing with us as we fought Eber's deportation and for continuing to stand with his family. For years, greedy CEOs have boosted profits on the backs of workers by cutting wages, hours and benefits. Now they are attacking the one thing that protexts the middle class and holds CEOs accountable: our unions. Read more about how "Right to Work" isn't what it seems. Teamsters Local 813 is declaring a victory in its ongoing effort to unionize the private carting industry, after the National Labor Relations Board signed a settlement preventing one company from interfering with union activities. 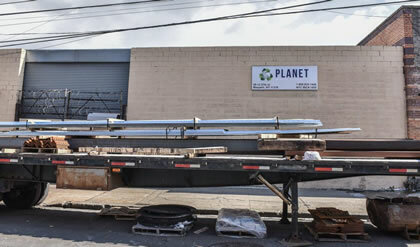 The Teamsters union, which has represented employees at Planet Waste Services for several years, alleged the Maspeth company intimidated workers when the company tried to install a management-friendly union. Workers who cooperated with the NLRB's investigation or with union representatives were threatened with firing, had cameras installed on their trucks, or were interrogated by management, the Teamsters alleged. Planet Waste did not respond to multiple requests for comment, and the settlement signed by its owners does not admit guilt. But the guidelines issued by the NLRB prevent the company from engaging in such tactics in the future. According to the settlement agreement issued this month, Planet Waste is forbidden from changing employees' wages, hours or other conditions if a worker engages in union activity or cooperates with an NLRB investigation. If the company does make changes, it must notify Local 813 and give the union a chance to bargain. The settlement also recognizes the union as the "exclusive collective-bargaining representative" of the workers. "This is the federal government saying no to union busting and no to threatening workers who stand up for themselves," Sean Campbell, president of Teamsters Local 813, said in a statement. "These abuses are not unique to Planet Waste, they happen every day at private sanitation companies across the city. 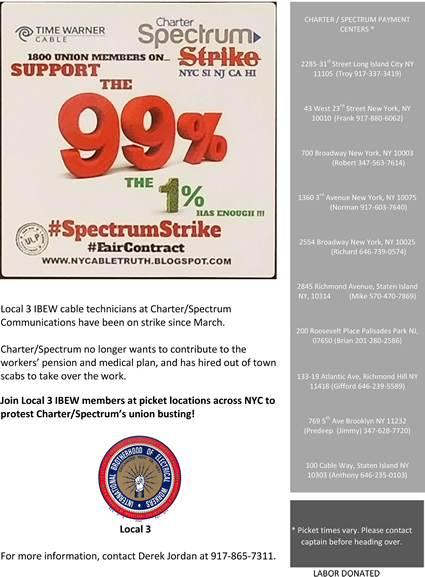 Local 813 is pushing back and we are winning." The NLRB ruling comes amid an ongoing fight between private carters and their opponents in the city over commercial zoning, recycling and worker safety. Private carters pick up most of the city's commercial waste. Read the NLRB agreement here. The truth has finally come to light. This industry needs change for the workers. 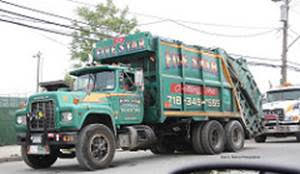 Private Sanitation was an industry that you can make a decent living and retire from. Unfortunately, many companies have expolited minority workers over the years. This became a race to the bottom. This is a huge victory for the workers in OUR INDUSTRY!!!! We want to thank all parties involved especially Joint Council 16 and The International Brotherhood of Teamsters. Today, the de Blasio administration announced sweeping reforms to New York's commercial sanitation industry. The plan will create commercial waste zones throughout the city, each served by a private sanitation company that will be held to strict environmental and labor standards. The de Blasio administration is moving to overhaul the commercial waste industry, launching a new system where the city is divided into zones and one company is tapped to pick up trash from businesses in each area. 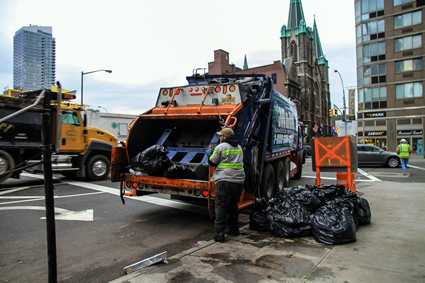 The private commercial waste hauling industry in New York City is marked by disregard of workplace safety standards and should be better regulated by the city, an advocacy group said. 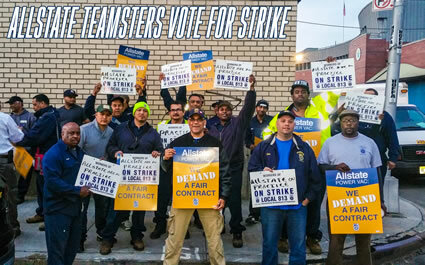 On Thursday, workers at Allstate Power Vac — a Con Edison contractor-voted unanimously to authorize a strike. The 60 staffers have been trying to negotiate a new contract for the past seven months, to no avail. Local 813 joined NYCOSH at City Hall for the release of their report of the abuses of safety in private sanitation. TEAMSTERS LOCAL 813 IN ACTION! On April 20, 2016, Teamsters Local 813 members were joined by Fellow Teamsters Locals, and Elected Officials to call on ALLSTATE POWER-VAC to sign a fair contract! Local 813 would like to take the time to thank all those that came out in support of the workers at ALLSTATE POWER-VAC. We want to thank Joint Council President George Miranda and the Executive Board, honorable mentions go to Bernadette Kelly of the I.B.T., Local 817 for sending their tractor trailer, Local 814, TWU Local 100 for providing us with the stage, NYC's strongest local 831 for coming out. We also want to thank NY State Senator Jose Peralta and Council Member Rory Lancman for supporting the labor movement. 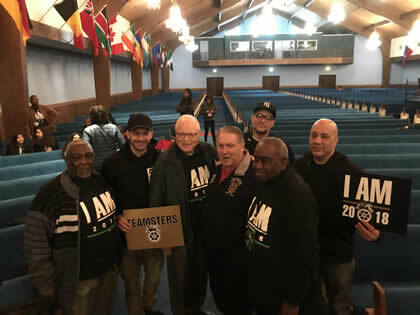 At this website you can learn about all of the Teamster locals in the New York metro area, and get the latest labor news. 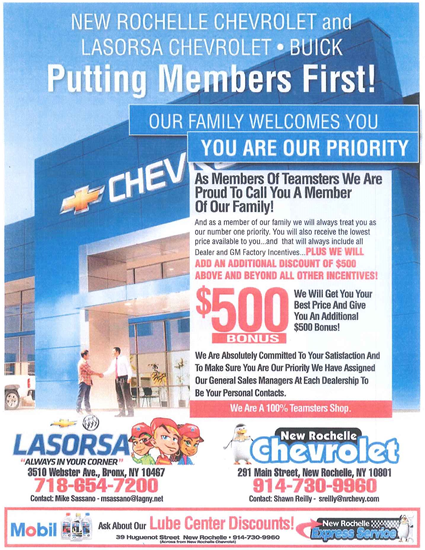 To become a member of Teamsters Local 813, you may call 718-937-7010, or you may also click here. ALL REQUESTS ARE STRICTLY CONFIDENTIAL. 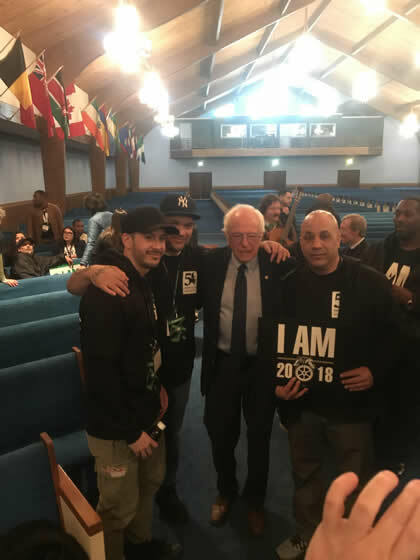 Teamsters: Poverty Is Bad For Your Health The working poor are living shorter lives than the wealthy, due largely to the more physical jobs they do and the stresses they face in life. UPS Ohio Rider Passes The UPS Ohio Rider was passed by the membership, according to vote count results. Teamsters: Ending Currency Manipulation Will Bring Worker Security Ending the practice of currency manipulation would result in upwards of 5.8 million jobs over the next three years, a new Economic Policy Institute report states. The issue must be addressed before the U.S. agrees to the Trans-Pacific Partnership or any other trade deals. Teamsters: Workers, Not the Rich, Need a Hand Up The growing disparity in incomes between the "haves" and the "have nots" is a real problem for America, and one that is being felt in many corners of this country. And it is an issue policymakers are going to have to get a handle on if they want to ensure the U.S. retains the values that have made this nation great. PA Teamsters Stand Against Paycheck Deception Bill Teamster members and leaders joined with York County legislators to denounce what has been termed the 'Paycheck Deception Bill' (House Bill 1507) at a press conference today. Contact AFLAC Click here for information about how to contact Aflac. © 2011–2019 Teamsters Local 813. Powered by MultiEmployer.com, Inc.